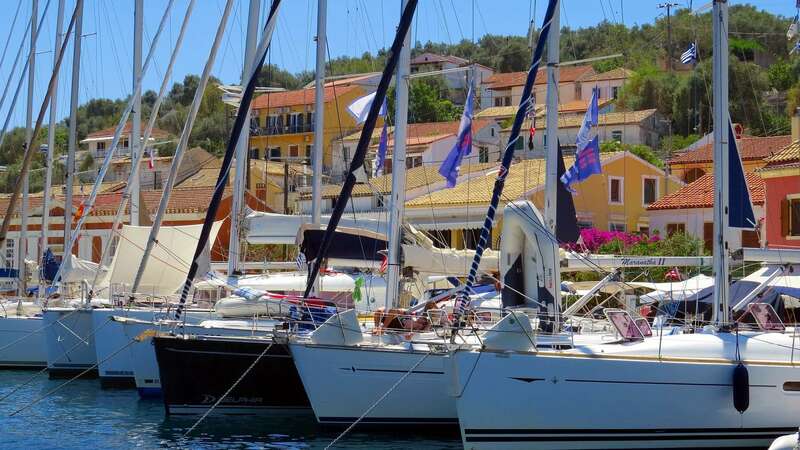 Home > Blog > Anti Paxos – Our best kept secret! A short boat-trip off the island, the turquoise waters and white sand of Vrika beach instantly draws you in on approach. After the pebbled beaches of Paxos, it’s impossible to resist kicking off your shoes the moment you step upon the shore to feel the golden sand between your toes. Amongst the rocky cliff tops, there are a handful of welcoming tavernas where you can eat, drink and sit in the sunshine. There are no shops on the island, but plenty of spots to enjoy a picnic and take in the fantastic scenery that the island has to offer. If the beaches don’t take your fancy, there are plenty of orchards and olive groves to explore on the island. This provides much shade from the summer sun. High above Voutoumi beach, is the Bella Vista Taverna with panoramic views of the island. This makes it hard to tear yourself away when the boat returns to take you back to the island. The last taxi boat leaves at 5.30pm, drawing a close to a perfect day on another piece of Paxos paradise.